It’s almost October, and while many people’s thoughts have turned to dressing up for Halloween, some cosplayers have been aiming for a much closer date. 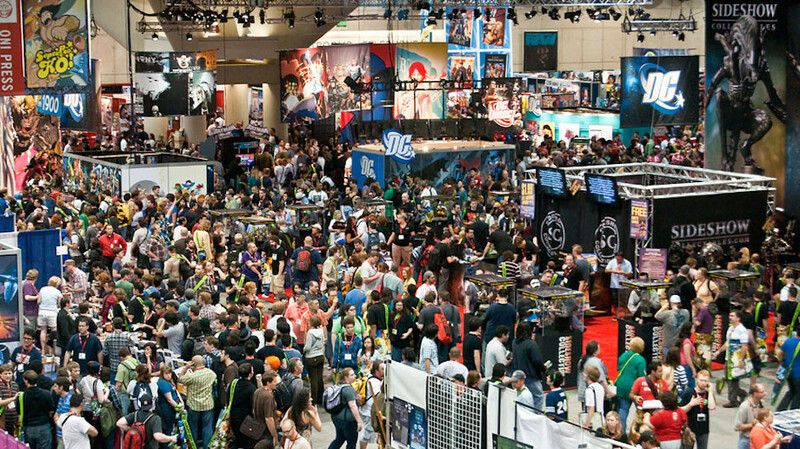 On October 8th, New York Comic-Con kicks off at the Javits Center in New York City, and Diamond Select Toys will be there with their brand-new booth full of prototypes to show off! 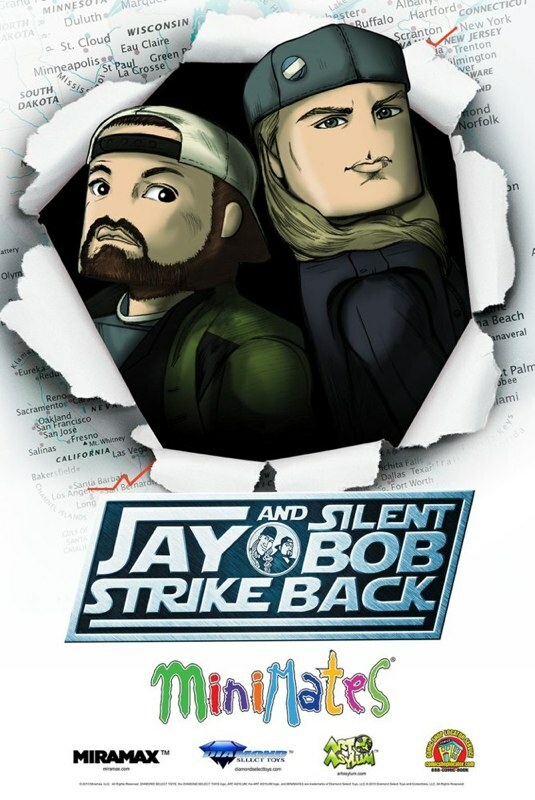 Plus, exclusive toys, panel presentations, free posters, signings and more! 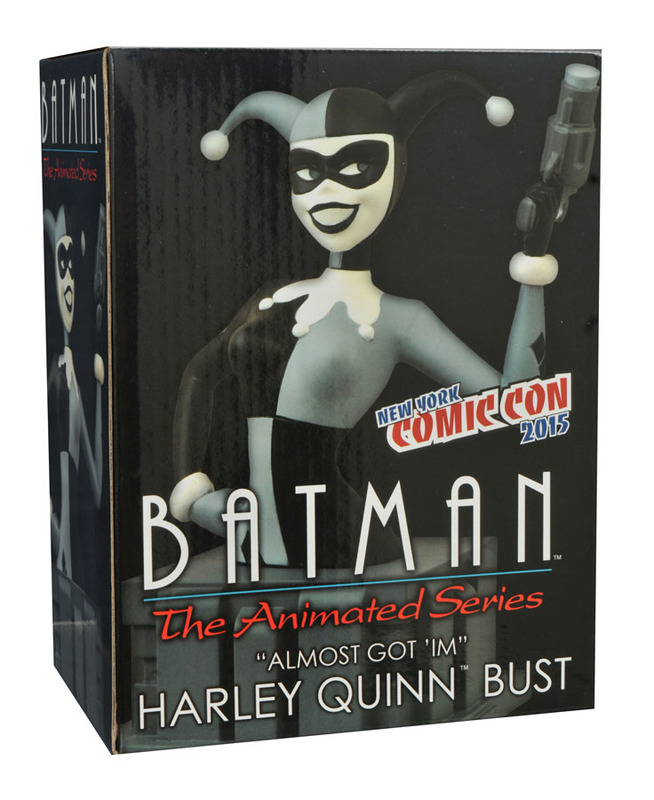 First up, Diamond Select Toys will have two exclusive products for sale at booth 1644. 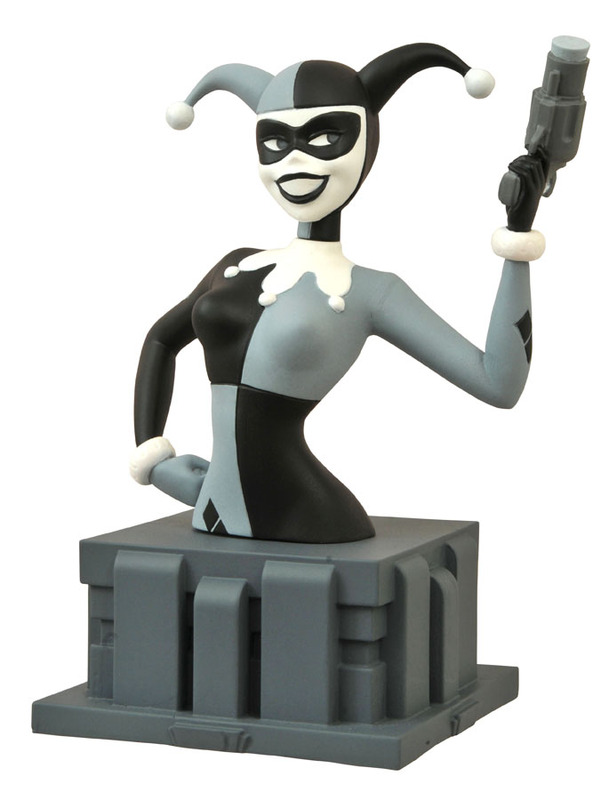 One is a limited-edition Batman: The Animated Series resin bust, of Harley Quinn as she appeared in the episode “Almost Got ‘Im”. 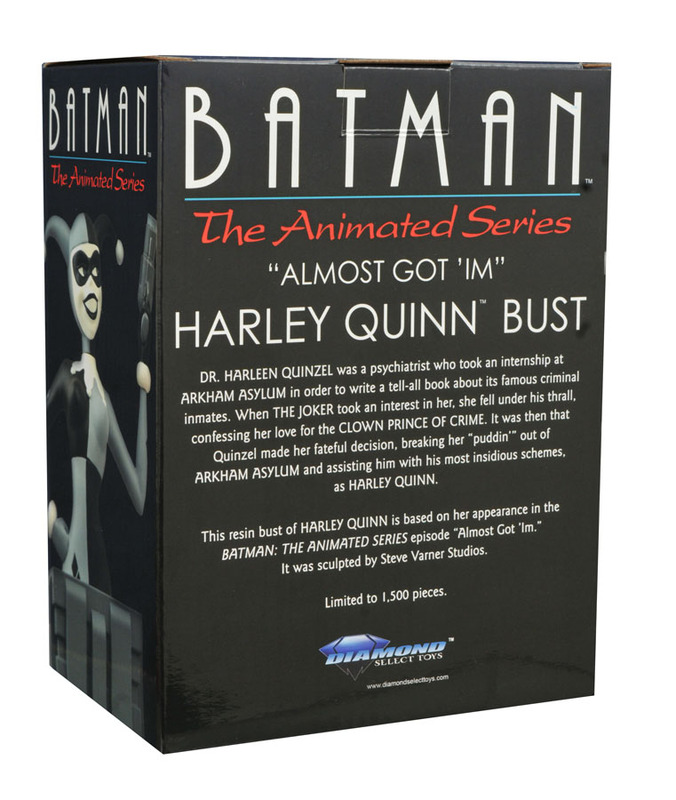 Painted in black-and-white, this bust is limited to 1,500 pieces, costs $60, and comes packaged with a certificate of authenticity. 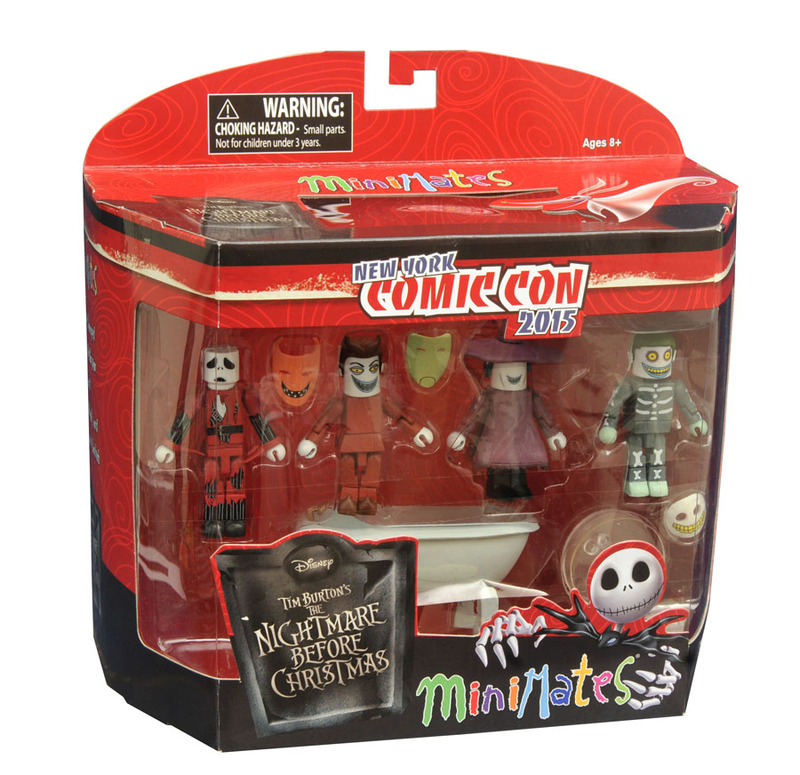 The second is a Nightmare Before Christmas Minimates Deluxe Box Set, of Lock, Shock, Barrel and Battle-Damaged Jack Skellington, with the Bathtub! Limited to 3,000 pieces, it will sell for $30. 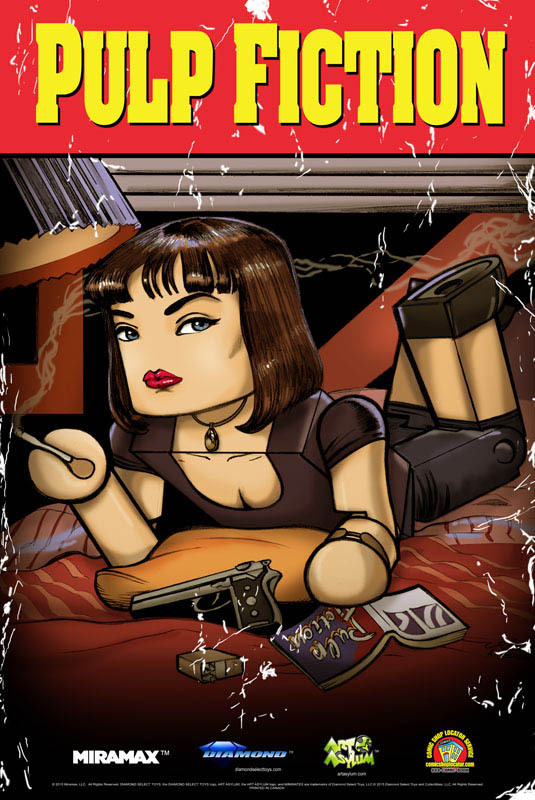 On Thursday evening, at 6:45 in room 1A05, DST will host the panel “Minimates Mini-Figures: Where Gotham Meets The Walking Dead.” The panel will feature a slide presentation, a Q&A with the Minimates planning and design team, and a prize drawing. On Sunday, at 3:45 in room 1A18, the creators behind many of DST’s other lines will convene for a second panel, “Gotham, Ghostbusters and Marvel Select: The World of Diamond Select Toys.” The panel will feature a completely different slide presentation focusing on action figures, vehicles and banks, followed by a Q&A and a prize drawing. Diamond Select Toys will also be giving away a free promotional Teenage Mutant Ninja Turtles Minimate every morning of the show. 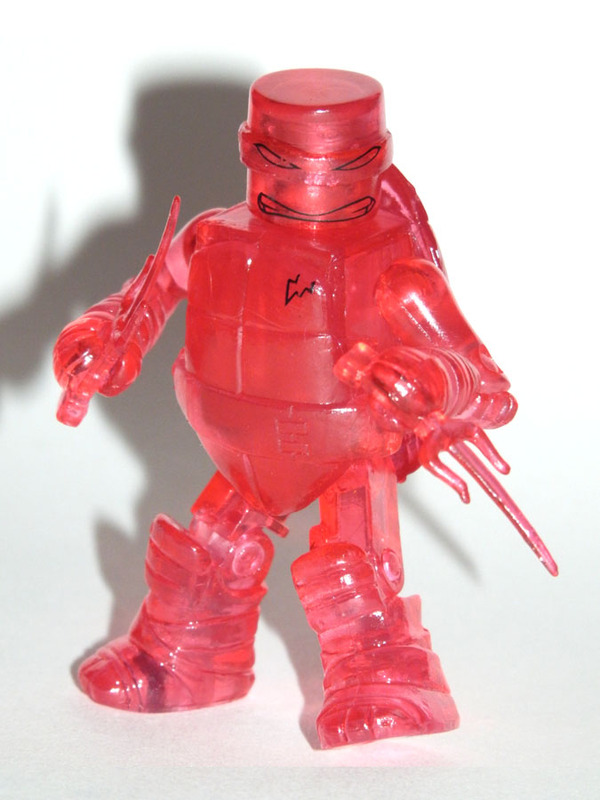 A limited number of translucent red Raphael figures will be given out each day starting at 10:00 AM, or when the doors open, until the day’s allotment has been given out. 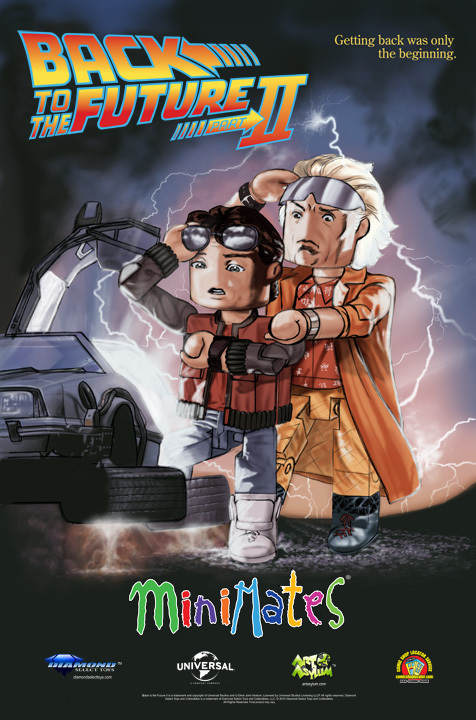 Additionally, three full-size posters will be given out throughout the weekend at the DST booth, featuring Minimates-style artwork of Jay and Silent Bob, Back to the Future, and Pulp Fiction! 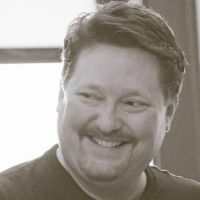 Poster artist and Minimate designer Uriel Caton will be on hand Saturday afternoon from 1:00-2:00 and 3:00-4:00 to sign posters for attendees. Visit DST at booth 1644 to see what’s new, pick up exclusives, snag posters and promos, see their updated events schedule, and fill some holes in your collection in their company store!